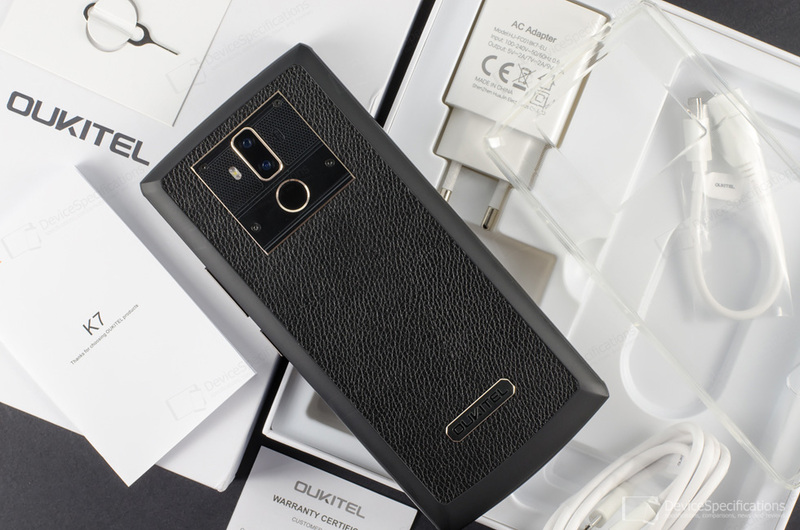 With the past few models, Oukitel has broken its naming nomenclature pattern and the latest device from this brand continues this trend. Oukitel K7 packs a beefy 10000 mAh battery despite the number 7 in its name. This immediately puts it in the competition for longest battery life. Even if it does not take the top place, a battery with such a capacity will surely provide impressive stamina, hence the K7 should be in the list of everyone who's utmost concern is battery life - frequent/long-distance travellers, frequent callers, etc. 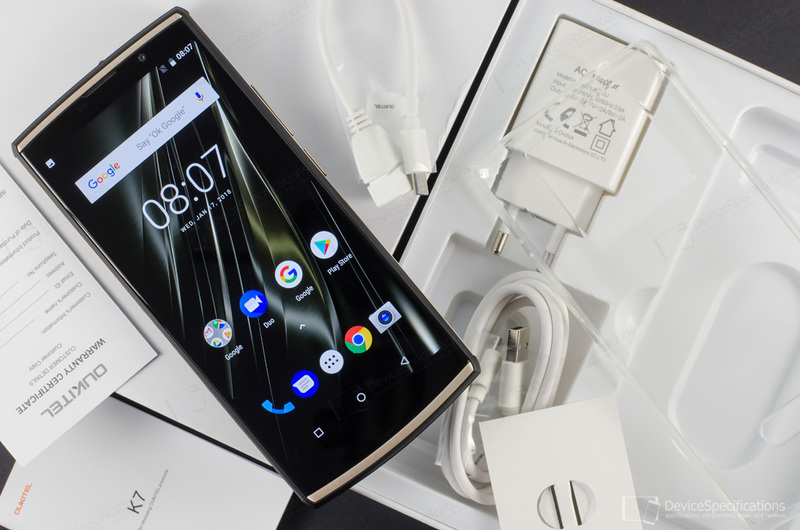 The model does have other merits as well not to mention that it is one of the most cost-effective big battery smartphones on the market currently and arrives with the latest stock Android version bound to regular updates, so here's our detailed review of Oukitel K7 that will provide you with in-depth information about the device. You can buy a Oukitel K7 at a promotional price from Oukitel's website (check the "Buy now" button) or Oukitel's official AliExpress store. If you prefer shopping from Amazon, you can try those links according to your language preference: Spanish (ES), French (FR), German (DE), Italian (IT), Japanese (JP). Oukitel K7 has a 6-inch display with an in-cell IPS panel that has an FHD+ resolution (1080 x 2160 pixels), an 18:9 aspect ratio, and 85% NTSC colour coverage. The screen is protected by a 2.5D curved glass of unspecified type. The model is powered by a 10000 mAh Li-Pol, unremovable battery coupled with a 5V/2A~7V/2A~9V/2A fast charger. Under its plastic hood covered with real leather, a 64-bit MediaTek MT6750T chipset ticks. This system-on-chip houses an octa-core Cortex-A53 CPU with four 1.5GHz cores and four 1GHz ones. A dual-core 650MHz Mali-T860 MP2 GPU manages the graphics department. There are 4GB of single-channel LPDDR3 RAM on board, clocked at 833MHz and 64GB of internal memory, expandable with up to 128GB. On the back of the handset, there are two cameras with a dual-LED flash adjoined by a fingerprint sensor. The main shooter is equipped with a 13-megapixel Sony IMX214 sensor and an f/1.8 lens. The auxiliary snapper has a 2-megapixel sensor - most probably a GalaxyCore CG2035/2145 one. The front-facing shooter packs a 5MP GalaxyCore GC5025 sensor and an f/2.8 lens. None of the cameras is interpolated. The device supports 2G GSM (850, 900, 1800, 1900 MHz), 3G W-CDMA (900 MHz, 2100 MHz), and 4G FDD-LTE (800, 900, 1800, 2100, 2600 MHz) networks. LTE speeds are Cat. 6 ones. The wireless connectivity options of Oukitel K7 include Bluetooth 4.0, dual-band Wi-Fi 802.11 a/b/g/n, Wi-Fi Direct, Wi-Fi Hotspot, Wi-Fi Display. The smartphone works with GPS and GLONASS and is equipped with a Micro-USB 2.0 port and a 3.5 mm jack. The model runs on stock Android 8.1 Oreo.